If you saw any of my Halloween pictures, you know we are a Star Wars™ family. We have enjoyed the movies and toys so much and our girls love them. It has been so much fun to pass down something we have loved to the next generation. We are thrilled that the new movie looks amazing and we can’t wait to share this experience with our kids. 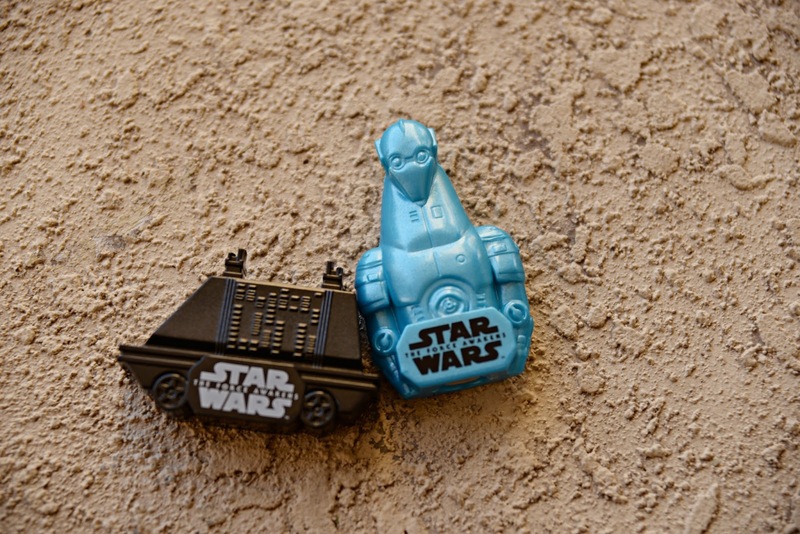 Every time we pass something Star Wars™ in the store, it somehow ends up in our cart. Some times because of the kiddos and more often because of the crazy parents. A lot of the General Mills cereals, including Honey Nut Cheerios® have these awesome Star Wars™ toys in them right now, which has made breakfast a lot more fun and more Star Wars™. My kids regularly ask me to make their treats more Star Wars™. This has involved a lot of creativity and fun in our house. 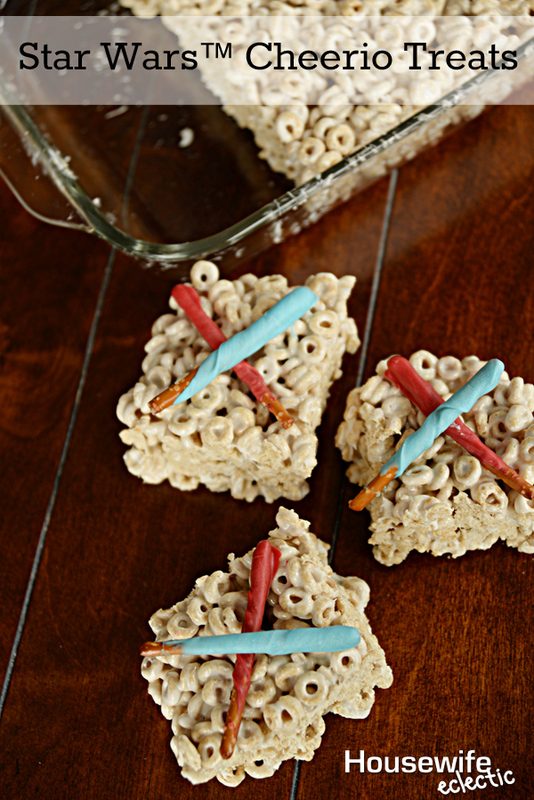 Our latest invention has been these Honey Nut Cheerios treats with Star Wars™ weapons on top. My kids love them and who doesn’t love a little extra chocolate in their life? Melt the butter in the bottom of a large bowl. Pour the marshmallows on top. Microwave in 30 second intervals until the marshmallows are just melted. It is possible to scorch marshmallows so watch them closely. They are ready when they look like the photo below, mostly melted with a few visible lumps still left in them. 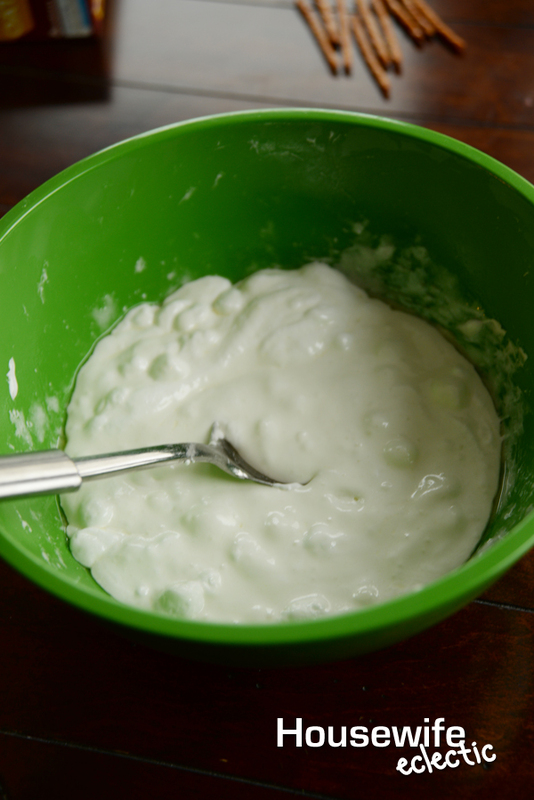 Mix the marshmallows until smooth, adding the salt and vanilla. 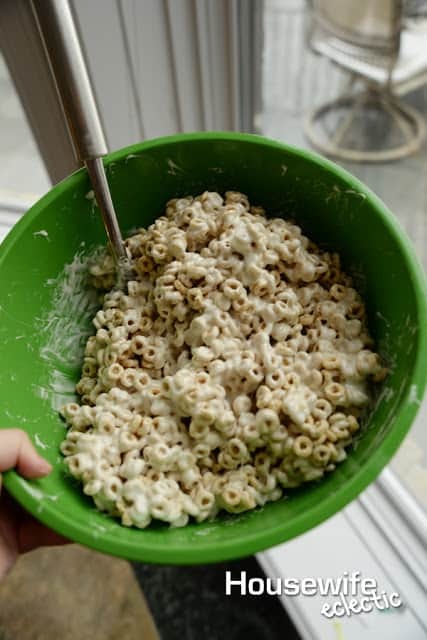 Add the box of Honey Nut Cheerios and mix until they are thoroughly covered. Spray a 10×13 pan with non-stick cooking spray. Dump the mixture into the pan. Wet your hands and shake off the excess water. Press the mixture down into the pan. 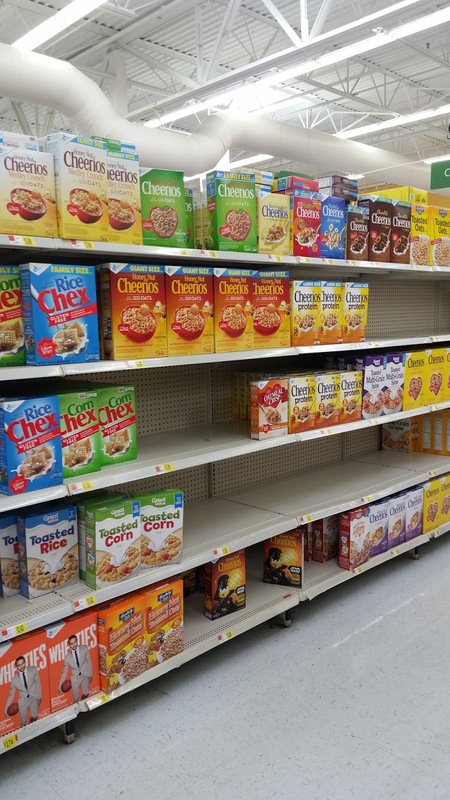 The moisture on your hands will keep the cereal from sticking to your hands. Melt red chocolate in one bowl and blue in another, 30 seconds at a time until the chocolate easily stirs smooth. Dip 3/4s of each pretzel in the chocolate and then lay on wax paper to dry. 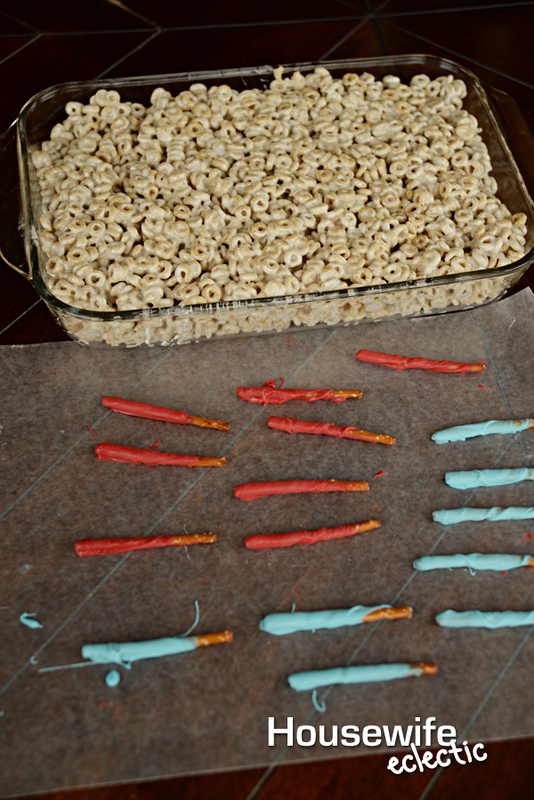 If you wanted to make these treats with other types of Cheerios, you absolutely could. I just love the flavor of the Honey Nut Cheerios in marshmallow treats and it helps that right now at Walmart Honey Nut Cheerios have special Star Wars™ boxes. After the Cheerio treats and the pretzels have set. 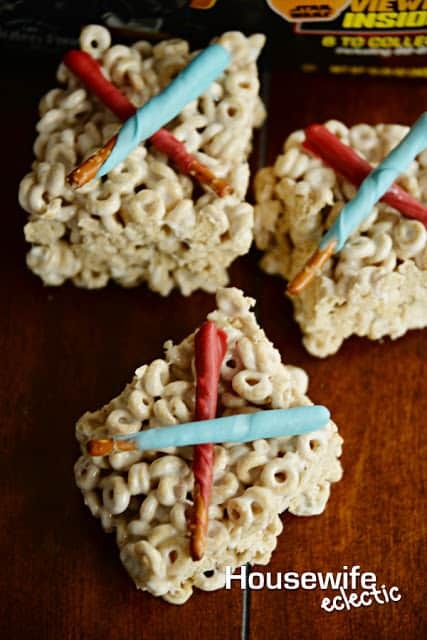 Cut the treats into squares and then press two pretzels, one blue and one red into the top of the treat to complete the Star Wars™ look! My kids absolutely loved these and they couldn’t help but battle with their pretzels before they ate them! How would you make your cereal more Star Wars™ ? I could see my husband, and his friends eating these! 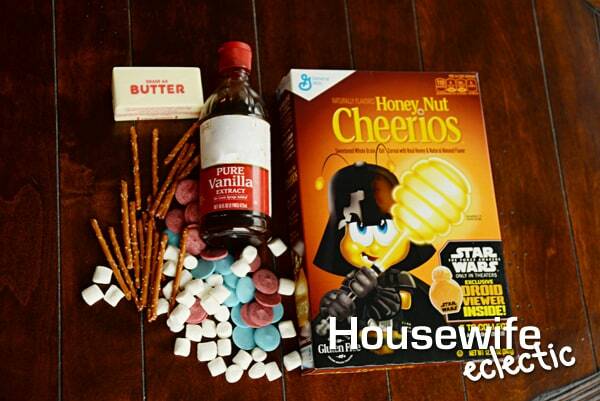 Seriously, we are big Star Wars fans, and I love that Cheerios is doing the different boxes. Thank you for sharing a relatively healthier option! These are so cute! My kids would love these since they are huge Star Wars fans! 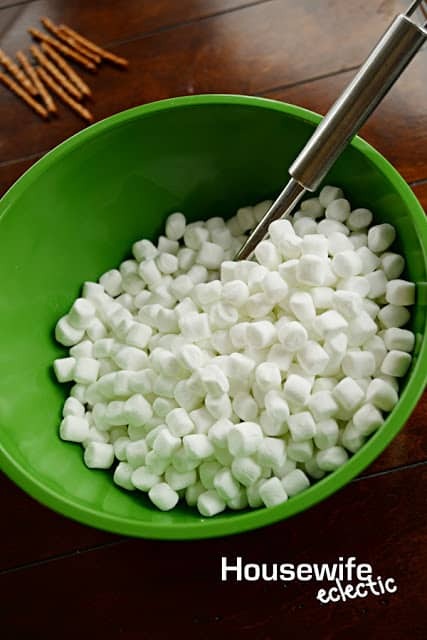 I love that one can add melted marshmallows to just about anything and make the most amazing treats for our kiddos! These are awesome! These look l ikesuchafun dessert or snack for star wars lovers! Thanks so muchfor sharing. This is the cutest idea! I love the little light sabers! Fun idea! I love the light saber pretzels! That looks yummy and I love that it's easy to make. My kids will love this. I'd take a cheerio treat over a rice crispie treat any day! These look so good! Thats so adorable, great idea. I am totally weak over the light saber pretzels! These are AWESOME! 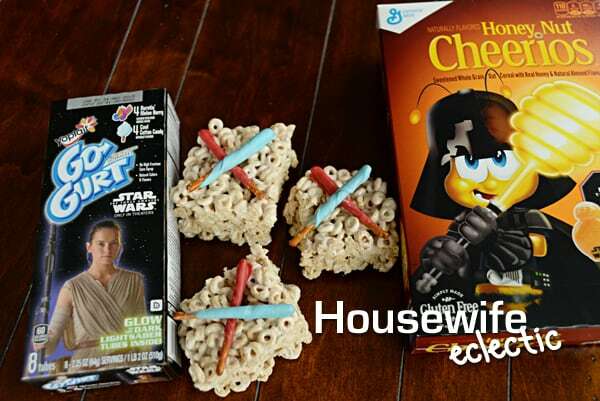 These are so cute for all the Star Wars lovers 🙂 Love them and the idea of making them with cheerios! OMG, these are too cute!! Such a cute snack for a movie!!! Omg not only do these look cute, but tasty! I so need to make a batch! Now that is just too cute! They look so easy to make, too! Such a fun idea to make a Star Wars themed snack. Thanks for sharing on Merry Monday. Pinned.